You can rely on Gisborne Cottage Flowers to hand-deliver fresh flowers and plants to all the major suburbs, hospitals, churches, funeral homes, and nursing homes in the Gisborne, VIC area. 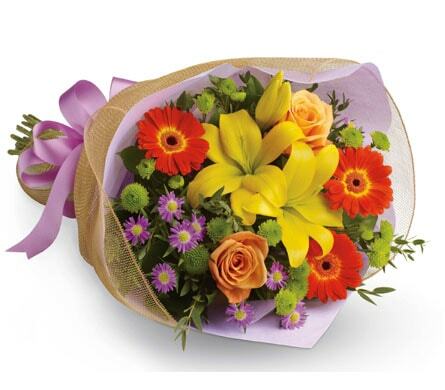 We can send your flowers same-day delivery and next-day delivery to Gisborne and surrounding areas. 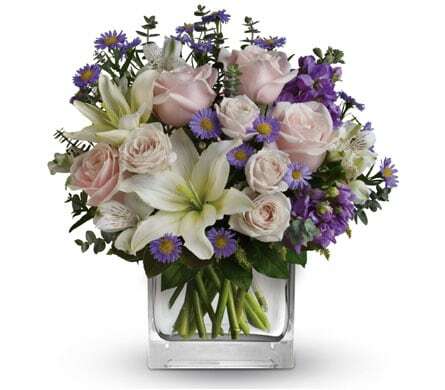 Select Designer's Choice for our freshest flowers, hand-arranged by Gisborne Cottage Flowers. Please let us know if you have a special request for any of delivery areas we service. Do You Need to Find a Nearby Gisborne, VIC Florist? Glowing in Gisborne, Gisborne Cottage Florists are a full of fabulous delights, offering swift, same-day delivery to an array of nearby destinations, including churches and places of religious worship, hospitals, medical centres, nursing homes, retirement villages, cemeteries, and funeral homes. We provide delivery to a wide range of hospitals and medical centres in Gisborne and adjoining areas, among which are St John of God Hospital, Broadmedows Health Service, Plenty Valley Community Health, Mercy Hospital for Women, and Cobaw Community Health Service. Among the churches and religious organisations to which we deliver are Holy Trinity Anglican Church Bacchus, Western Community Alliance Church, Destiny Centre Christian Church, Greek Orthodox Church of the Panagia, and St Anthony�s Catholic Church Melton South. Additionally, we deliver to a number of local cemeteries and funeral homes, such as Will Will Rook Cemetery, Central Highlands Funerals, Mulqueen Family Funeral Directors, Northern Memorial Park, and White Lady Funerals. We also deliver to many nursing homes and retirement villages, including Good Shephard Aged Services, Allanvale Private Nursing Home, Reg Geary House Nursing Home, Embracia on Ashley, and Whittlesea Lodge Nursing Home. Gisborne Cottage Florists is your home for everything cute, creative, and oh so colourful, with sensational floral arrangements to accentuate any special occasion or celebration. In particular, our �Congratulations� arrangements will have you screaming hip, hip, hooray all day. �Sweet Treasure� will be your greatest pleasure. Buried in your heart, this terrific treasure chest of colourful posies, freesias, solidaster, alstroemeria, and roses is somehow even sweeter than it looks. You�ll treasure this gift forever. Celebrations are always in style, thanks to �Stylish Celebration�. Welcome your gorgeous new baby to the big wide world with this colourful concoction filled with hot pink and red roses, and topped off with a cute, cuddly teddy bear. Smiles are in style! Witness the healing power of flowers with �Feelin� Peachy�. A gracious get-well gift, this brilliant blend of blue, peach, and yellow will have them feeling better than ever. Part of the Shire of Macedon Ranges, Gisborne is located around 55km north west of Melbourne, and is the gift that keeps on giving. The town is named after Henry Fyshe Gisborne, who was the first commissioner for Crown Lands of the Phillip Port District. A sister city to Gisborne in New Zealand, Gisborne is a popular destination for those seeking the best of both worlds, thanks to its quiet, scenic atmosphere, and proximity to the city.